So I FINALLY caved and got rid of my '12 WRX. I had no intention of getting rid of it, especially since I just got it tuned last month and it was an absolute beast on the road. The perfect everyday all around car in my opinion. 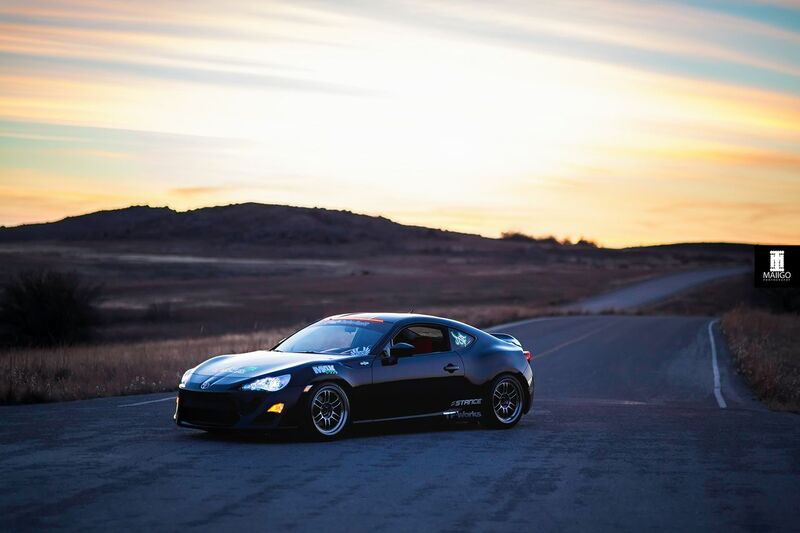 My wife and I had talked about me getting something else to play around with and while I mentioned a few times waiting to see what happened with the BRZ STI, I also said that a black FR-S would be sick. So while I was gone in the field for training, she picked one up for me and traded in the WRX after a long dicussion over deciding what to do. So here it is: When I first bought it. Last edited by TylerLieberman; 04-17-2015 at 11:32 AM. Those were SSR SP1s. I would get them again but I don't wanna spend $700/wheel with sizes and offsets that $300 wheels offer. Maybe if the car could properly fit a +12 on a 9.5j wheel or something. Oh well, we'll see. I have yet to make a final decision on wheels yet. All I know is I'm buying 6. 4 17x9s and 2 18x9.5s. 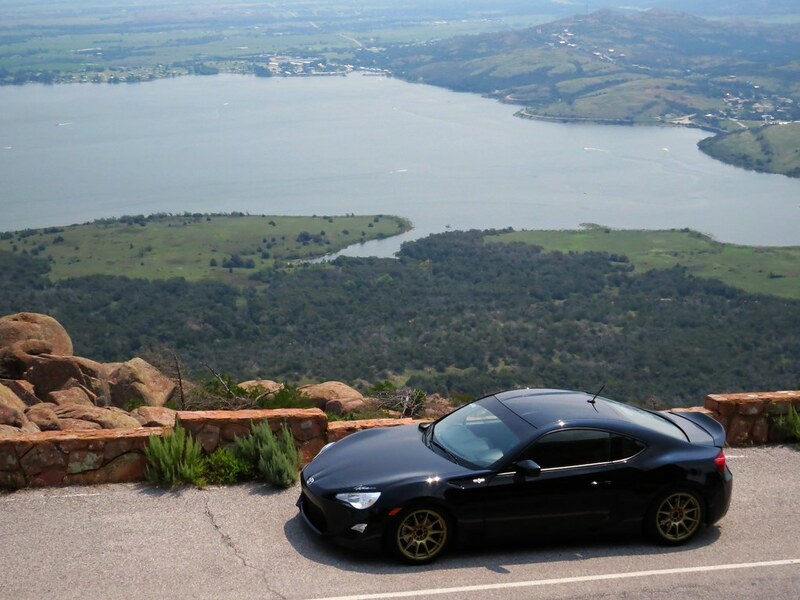 Drift event at mineral wells on May 19th. The race is on to get the car ready for the event! Making calls tomorrow! God that kouki is sick! I've always liked those because of the tail lights. Got to work today. Had some left over DEI gold wrap and covered up the BMC. Adds a nice touch to the bay I think. Also stripped everything out of the trunk. After weighing everything, it came in at around 54lbs. The new exhaust setup will shave another 22-25lbs as well. Which means nearly 100lbs taken off of the rear half of the car. STANCE coilovers purchased yesterday and will be here Thursday and installed this weekend. Alignment shortly after. Everything else will be purchased next week and I'll spend the remaining time making sure everything is set for the event at Mineral Wells on the 19th. Finally have some time to update for everything that's happened over the past week or so. Threw them on and dropped it about 2" while I waited for the wheels and tires to show up. Then made final adjustments by adding a slight bit more camber up front and dropping it overall another 1/2" to end up like this. 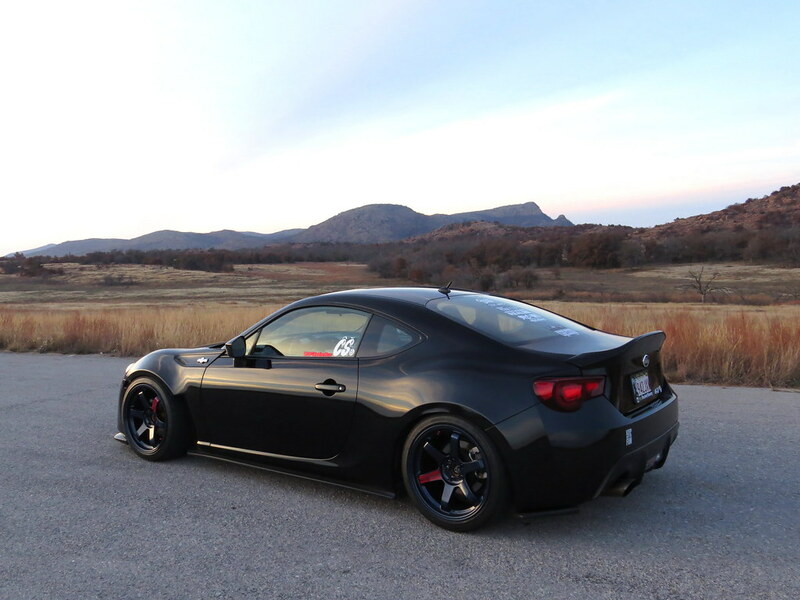 The fronts sit perfect for me but I would like to add a 3-5mm spacer in the rear to make it perfect how I want it. We'll see though. I'll post up more pictures when the exhaust shows up and a bunch more during the event. I like those wheels. They fit the car nicely! Sorry dont understand the second part of your post. Do the wheels fit flush or stick out a little? I'm getting ready for wheels and tires and need to know what offset to go with. Front wheels poke Almost a full inch. I added more camber though up front. I'm running around 2 degrees up front and it now it pokes maybe 1/4". It's the thing my phone adds onto it. No worries.